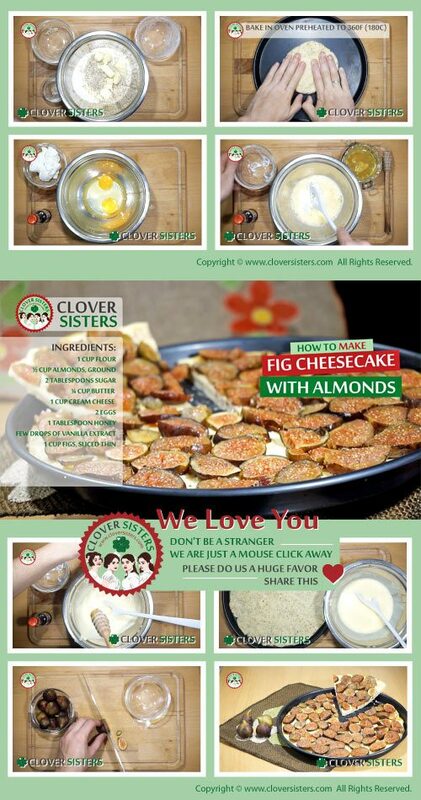 This fresh fig cheesecake is easy to make. 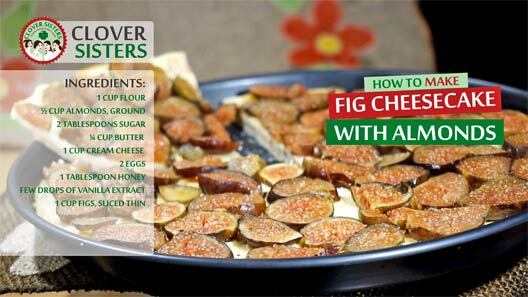 Pleasure of crunchy crust and tasty fresh figs, enriched with grounded almonds can be all yours, just follow our video instructions. Mix the flour, almonds, sugar and butter to make a crumbly dough and press it into a baking tray. Whisk cream cheese with the eggs, honey and vanilla to combine all together and place it thinly over the dough. Bake in oven preheated to 360F (180C). Arrange slices of figs over the top of the baked cake.